After our Dreadfall campaign ends (probably early Q1), I propose I run a Savage Worlds campaign. I still want to run Star Wars: Edge of the Empire, but I want to push that out 6-12 months until I’ve mastered the Savage Worlds system and have that firmly ensconced as a staple for our game group as our go-to system for one-shots and campaigns both short and long. Below are ones I’m interested in (a couple won’t be available till next year), plus I’d love to know what other settings my Saturday Night Dice and ShinnCon players would love to see. The world is drowning. The natives say that King Amemnus sentenced three witches to be drowned by the rising tide. With their dying breath, the witches cursed Caribdus, the land itself, to drown as they were, under fifty fathoms of the cold dark sea. Those that survived adapted to their wet new world. Crab-like Scurillians, massive Grael, lonely Doreen, mysterious Kraken, cruel Kehana, and the near-human Masaquani now sail the seas aside the new arrivals from Earth’s age of Piracy: dashing corsairs, bloodthirsty bucaneers, and savage sea dogs drawn from the mists of earth on unfamiliar tides. Many believe these visitors are destined to defeat the Sea Hags and save Caribdus from its watery grave, but most seem interested only in joining the plunder of forgotten treasures in a drowning world. Stan Comments: This has long been hailed as the quintessential standard for Savage Worlds plot point sandbox campaigns. It would have a ‘Pirates of the Caribbean’ vibe, with an Firefly-like emphasis on getting a job and keeping the ship running. Lots of weird creatures and a nice background, world-spanning meta-plot while allowing amazing sandbox freedom to sail the isles of Caribdus! Faster-than-light travel has finally allowed humanity to spread beyond its lonely corner of the Milky Way. In the depths of space these explorers found millions of star systems, strange planets, and exotic alien races. Centuries later, they form the Known Worlds, a vital region of trade and technology where empires grow and business thrives. It is an unparalleled age. Cutting edge science has opened limitless frontiers of space and consciousness, and has even begun to hint at the mysteries of the universe itself. But to find them, one must travel beyond the familiar, to the last parsecs of reality. Characters cross the cosmos under the auspices of JumpCorp, an intergalactic megacorp that contracts exploration, security, bounty hunting, transportation, and everything in between. Adventures take explorers from system to system and planet to planet, finding strange new civilizations, discovering terrifying creatures, and battling pirates, hostile aliens, rival corporations, and stranger things! Stan Comments: Everything I love about Star Frontiers but put into a modern, well supported system. I am totally psyched about this setting! Savage Worlds handles space combat well so we’d get those epic space battles which I’m hesitant to take on using Traveller’s antiquated space combat system. PDFs are available November but miniatures and hard copy materials won’t be out till May 2015. 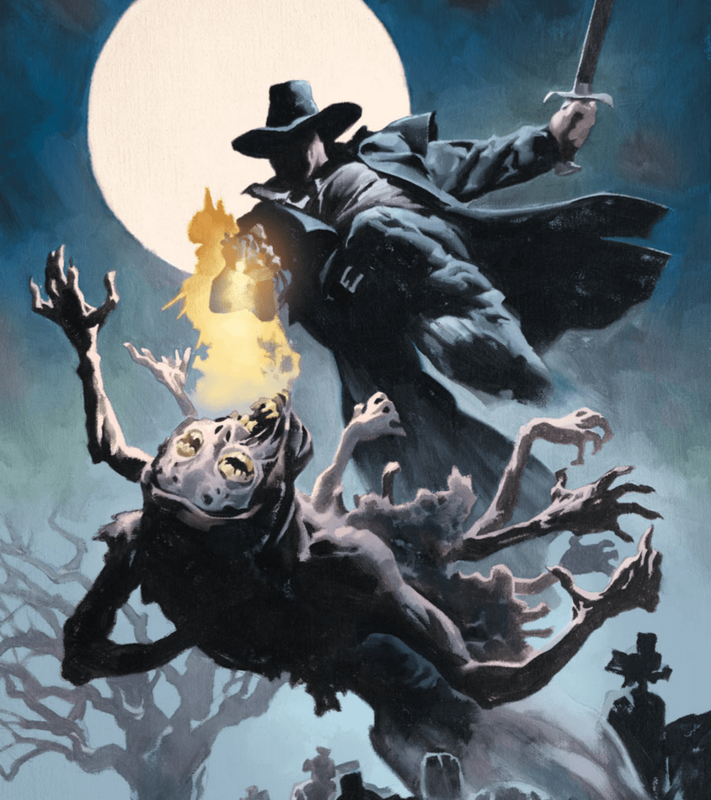 The Savage World of Lankhmar brings Fritz Leiber’s gritty world of urban fantasy into Savage Worlds! City of Thieves. City of Adventure. City of the Black Bones. City of Seven-Score Thousand Smokes. The Imperishable City. Lankhmar. It is here that the dynamic heroes of Fritz Leiber’s tales plied their trade and used as a base for their many adventures. Now you too can experience the thrill of adventure in a world populated by thieves, madmen and evil sorcerers. From the frigid barrens of the Cold Waste to the stinking rat-worshipping city of Ilthmar and the grim, underground domain of Quarmall, the neighbouring lands are all covered allowing new heroes (or scoundrels) to seek their fortunes and create new legends beyond the city itself. Follow in the footsteps of the two heroes and track down the fabulous treasures of half-forgotten myths and legends! Welcome to Lankhmar! Watch for 2-15 releases from Pinnacle: Lankhmar: City of Thieves, detailing the city itself and its most important players—including Fafhrd and the Gray Mouser. Savage Foes of Nehwon brings you the most insidious threats—powerful sorcerers, terrible creatures, and ruthless villains—with adventure seeds and Savage Tales to really fill out a campaign. Savage Tales of the Thieves’ Guild is a thematically linked series of adventures that can be run individually or knitted into a Plot Point Campaign of their own, all churning around Cheap Street’s activities. Stan Comments: I’ll want to read the material from Pinnacle before deciding if this would merit a campaign or be better suited to one-shots. Unlike the D&D adaptation, Savage Worlds seems to be the perfect system for a low fantasy setting where magic is rare and limited to NPCs. Cut a righteous path in a world of evil! You have seen the path to redemption, a road paved in the blood and bones of the evil you must defeat to save the world from its unholy taint. Face that which preys on men’s dreams, their fears, and their very souls. Walk The Path of Kane. Your enemies span the globe, reaching out from every shadowy corner of all four continents. Men, magick, and monsters of the darkest hearts and basest desires threaten the very world you tread. Humanity is lost without the will and steel of good folk like you. Whether a Puritan wanderer, a misguided pirate, or a soldier of fortune, a time of legend has come and fate has chosen her champions. Kane began the fight against an ancient evil so great it could destroy humanity, but now others must carry the torch into the darkness. 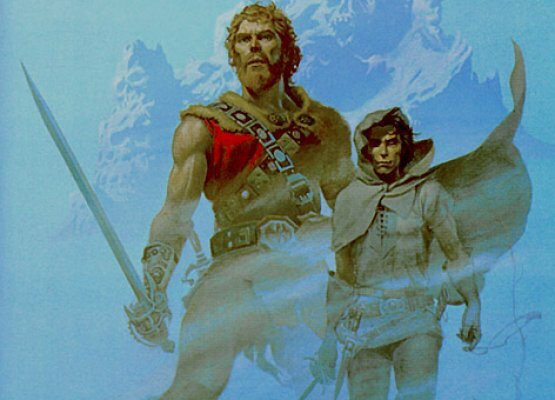 Stan Comments: If I run this I’d run it like Robert E. Howard wrote the stories: a world where protagonists are Puritan-minded holy warriors on a mission from God, ever vigilant against the vile forces of darkness. A bit different than some of the universalist, syncretistic assumptions of the RPG adaptation. 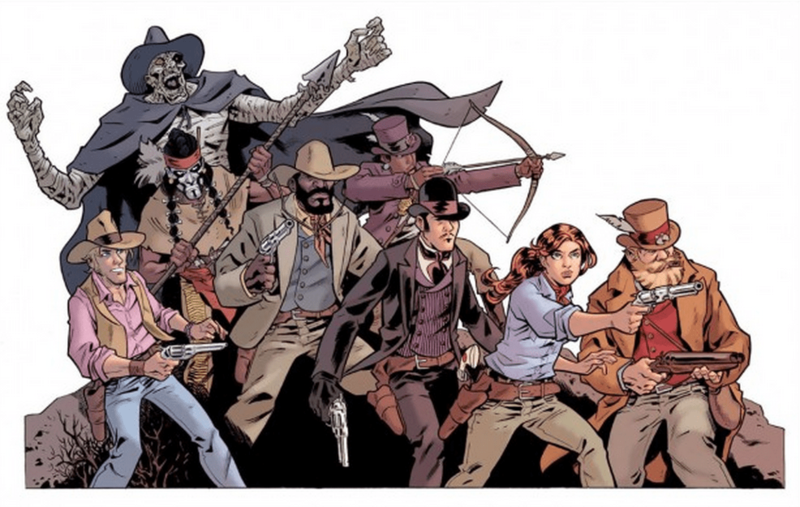 The Sixth Gun series comes to RPGs! The First of the Six strikes with ungodly force. The Second spreads Perdition’s flames. The Third kills with a flesh-rotting disease. The Fourth calls up the spirits of those it has slain. The Fifth can heal the wielder from even a fatal wound. And the Sixth is the key to rewriting the world. Are you ready to saddle up and ride into the savage world of The Sixth Gun? Based on the Eisner and Harvey Award nominated comic series from Cullen Bunn, Brian Hurt, and OniPress. Stan Comments: This has the same vibe as Deadlands, but with a different story, where the weirdness takes place in pockets in an otherwise normal world. A bit like the Buffy the Vampire Slayer. I’d want to read the comic series first to affirm if I even like it, but the buzz I hear is good. After Hitler got the Bomb in 1941, everything changed. The fall of the Soviet Union came swiftly after Stalingrad was nuked, and Hitler found millions of willing Russian recruits to feed his growing war machine. Japanese allies accompanied the Russians who, under Nazi leadership, soon flooded into Western Europe and England. America initially resisted the Nazi ultimatum to capitulate, but four nuked cities later, President Roosevelt relinquished American sovereignty. German, Russian and Japanese forces occupied the U.S.. The many promises of the Nazi peace treaty were soon broken, and the cloak of totalitarianism fell across a shocked America. 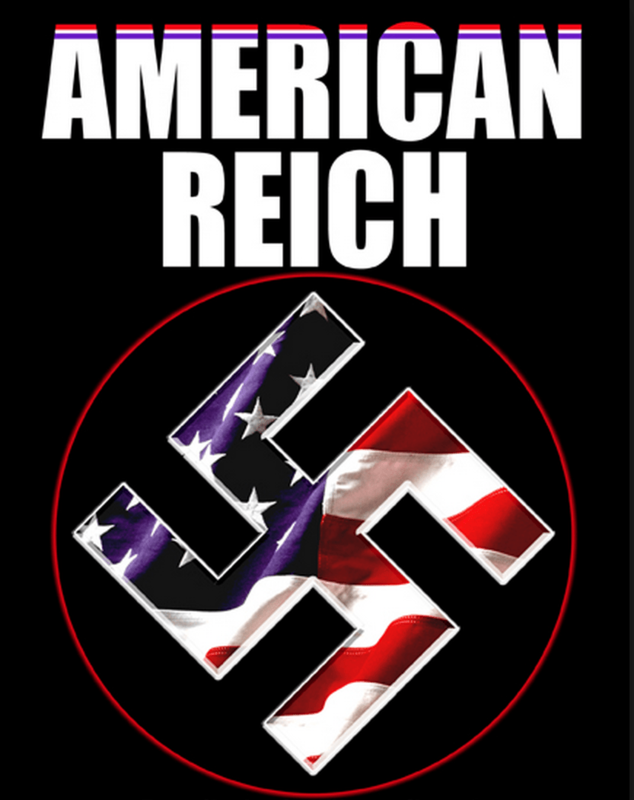 All that stands against the Nazi menace are the Storm Rebels, Americans organized in loose resistance cells. Explore an America of heroic action, daring deeds, and political intrigue! The characters are America’s bravest defenders coming from all walks of life — school teachers turned freedom fighters, high school students taking up arms, and spying housewives willing to risk all. Listen to the outlawed radio broadcast of Free America as you await orders from Cropduster, leader of the Storm Rebels known only by his code name. Stan Comments: This is a Stan Shinn original setting which we would co-design together like Dreadfall. Probably not one I’d want to run immediately after Dreadfall but want to keep this on our radar for potentially down the road. Aside from the possible campaigns which I would run, I figure Jeff, John, and maybe Mason might run some Savage Worlds one-shots or mini-campaigns. Here’s the settings I’m hearing about plus a few I’ll suggest. What else would you folks be interested in? The two I’m really interested in are 50 Fathoms and The Last Parsec. The rest all stir up moderate interest with one exception, which is Lankmar. I feel like I get enough fantasy with the D&D games. I’m not opposed to it, because I enjoy fantasy games and might decide I like it a lot more than D&D. It’s just at the bottom of the list for me. I’ll throw my hat in the ring to run a one shot of Firefly if the need or desire ever arises. I can use Savage Worlds or the new Firefly Cortex Plus. Since it would basically be a reset, I could even bring Smee back and give Stan a second go at him. It didn’t go to well the first time around. Until someone ran Smee over with the mule, anyway.